More info on upcoming workshops can be found below. If you would like to book Nova to lead a writing workshop or present at your conference, please get in touch at nova@novaren.com. 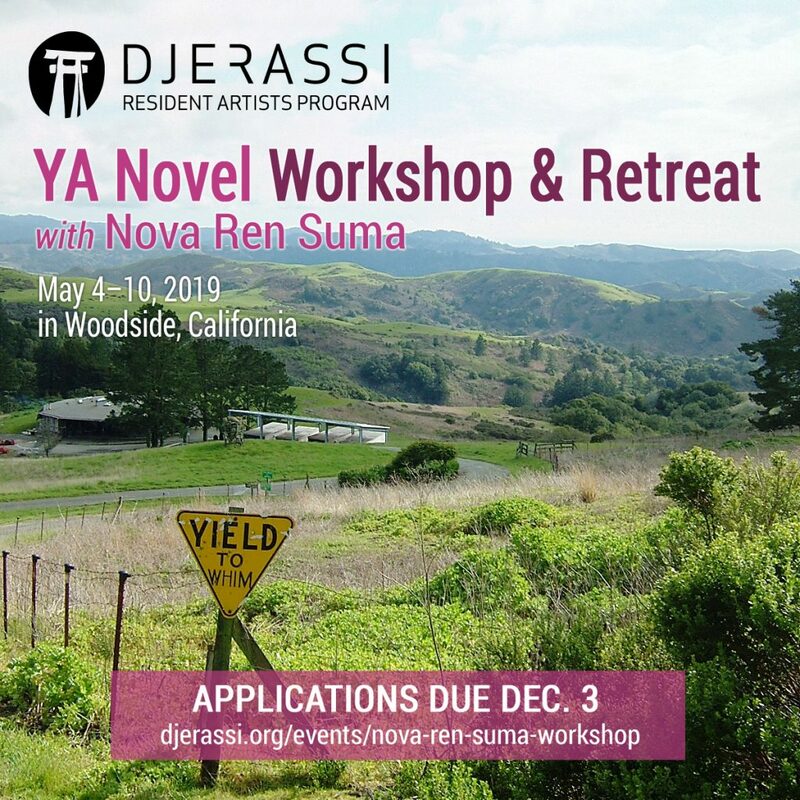 The 2019 YA Novel Workshop-Retreat at the Djerassi Resident Artists Program is now accepting applications! This is a fiction workshop and retreat tailored for writers working on YA novels of any style and genre, featuring daily critique sessions and time to retreat and produce new work. Includes 75 pages (25 for group critique; 50 in private conference) of manuscript review. Dare to visit a historic haunted city and ponder the ghostly stories inhabiting the shadowy corners of your mind? 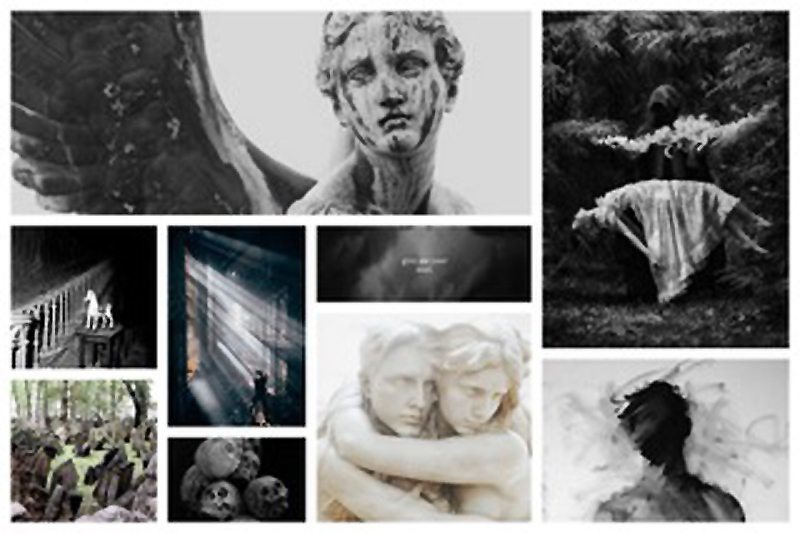 New York Times Bestselling Author Nova Ren Suma and Medium, Intuitive Healer, and Author Holly Raychelle Hughes invite you to swing open the creaky door to the fabulous haunted city of Charleston, South Carolina, and join them for a ghostly generative writing retreat June 28–30, 2019. Applications are now being accepted on a rolling basis! Details and application info can be found here. Djerassi YA Novel Alumni Reunion Workshop: April 16–21, 2018. Djerassi Resident Artists Program, Woodside, CA. New England SCBWI Conference: April 21–23, 2017. Sheraton Monarch Place, Springfield, MA. Conference faculty. Workshop leader of two first pages workshops. Djerassi 2017 YA Novel Writing Workshop: June 19–24, 2017. Djerassi Resident Artists Program, Woodside, CA. SCBWI 46th Annual Summer Conference: July 7–10, 2017. JW Marriott at LA LIVE, Los Angeles, CA. Conference faculty. Workshop leader of two Monday intensives. Highlights Foundation Books with Bite Workshop: October 4–8, 2017. The Highlights Foundation, Honesdale, PA. Co-taught with Micol Ostow. Djerassi 2016 YA Novel Writing Workshop: March 6–12, 2016. Djerassi Resident Artists Program, Woodside, CA. Djerassi YA Novel Alumni Reunion Workshop: March 17–23, 2016. Djerassi Resident Artists Program, Woodside, CA. Highlights Foundation Books with Bite Workshop: October 19–23, 2016. The Highlights Foundation, Honesdale, PA. Co-taught with Micol Ostow. Djerassi 2015 YA Novel Writing Workshop: June 21–26, 2015, Djerassi Resident Artists Program, Woodside, CA. Columbia University Young Adult Novel Writing Workshop: July 6–August 12, 2015. Columbia University, School of the Arts Writing Program, New York, NY. Highlights Foundation Books with Bite Workshop: September 16–20, 2015, The Highlights Foundation, Honesdale, PA. Co-taught with Micol Ostow. A Week in Residency with Nova Ren Suma Workshop: November 8–14, 2015, the Writing Barn, Austin, TX. Djerassi Writes: YA Novel Workshop: Feb. 9–14, 2014, Djerassi Resident Artists Program, Woodside, CA. Djerassi Writes: YA Novel Workshop (second session): June 22–27, Djerassi Resident Artists Program, Woodside, CA. The Craft of Creativity: The Inaugural Showcase Featuring the Master Class Room Instructors: Sept. 8, The Writers Room, New York, NY. Highlights Whole Novel Workshop with Sarah Aronson and Nancy Werlin: Sept. 10–11, Highlights Foundation, Honesdale, PA. Special guest author.